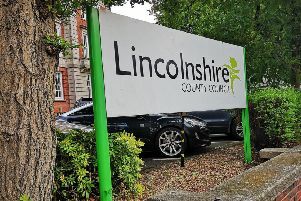 A national charity for terminally ill people is appealing for help in the Horncastle area. The Cinnamon Trust is the only specialist charity for the terminally ill and people in their later years - and their much loved, much needed companion animals. They urgently need dog walking volunteers in Horncastle for a lovely four year old Cavalier King Charles Spaniel who relishes the chance to go for a good walk. A spokesman for the charity said: “What happens if illness, injury or just the fact that we all get older eventually affects our ability to look after our four legged companions? “Elderly or ill pet owners become very worried about their ability to care for their pets feeling that their only option is to re-home them. “This is where our national network of dedicated volunteers step in to offer support enabling them to stay together. “We’ll walk the dog for a housebound owner, we’ll foster pets when owners need hospital care, we’ll fetch the cat food, even clean out the bird cage or litter trays.